Cedar Pass Lodge is located near the Ben Reifel Visitor Center within Badlands National Park. Cedar Pass Lodge offers cabins, a full-service restaurant, and gift shop. Cedar Pass Lodge is normally open from mid-April through mid-October depending on the weather. Cedar Pass Lodge was built in 1926 by Ben Millard. 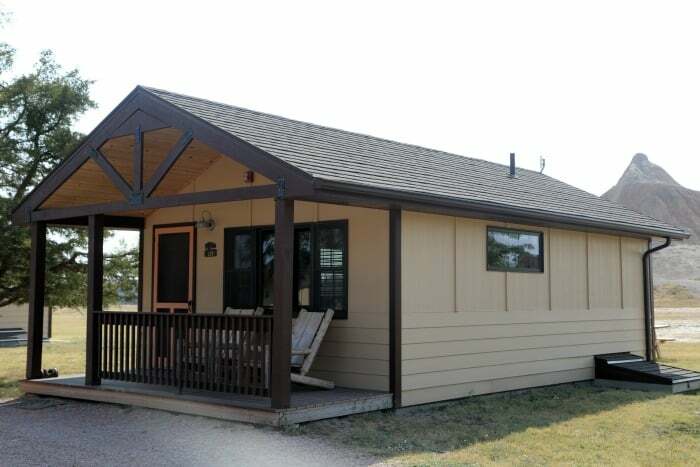 The lodge has served as a welcome space for visitors to the Badlands to relax, get supplies and take a break. New cabins were placed at Cedar Pass Lodge in 2013. The cabins are lined with beetle kill pine from the Black Hills and outfitted with handmade lodge pole pine furnishings. Lakota Lamp, energy star appliances including a refrigerator, 32-inch TV, coffee maker, and bamboo towels. 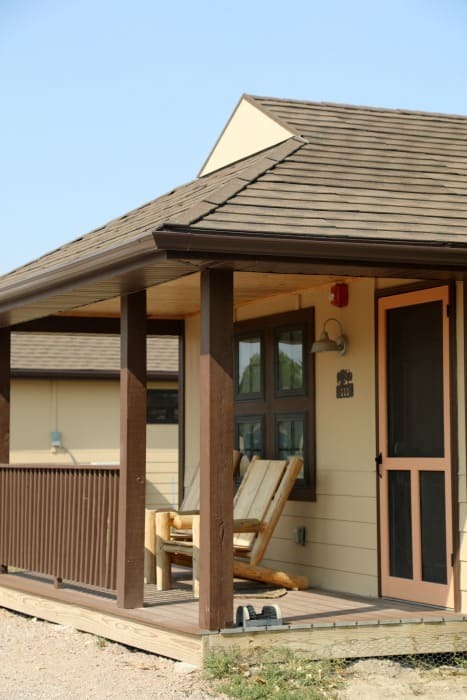 The cabins feature Adirondack chairs to relax in on the deck overlooking Badlands National Park. Cabin guests are provided 1 bag of ice during their stay complimentary. 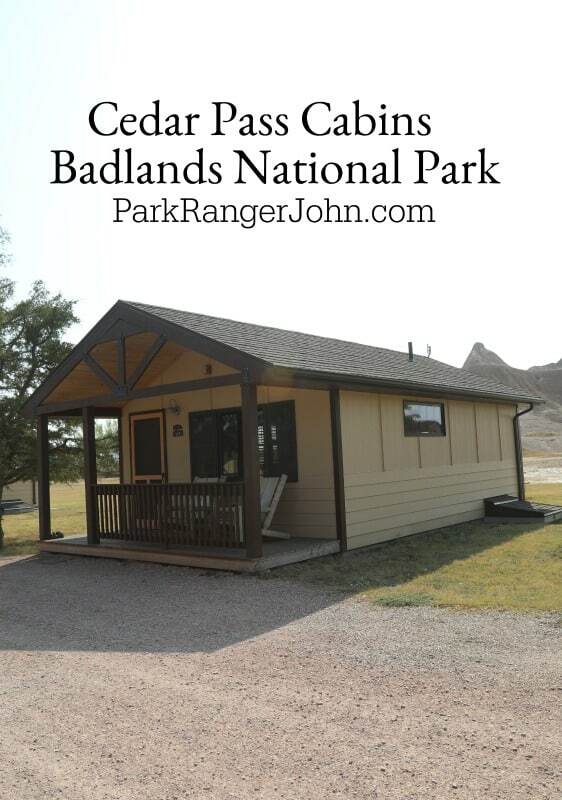 The Cedar Pass Cabins is the only lodging in Badlands National Park. The Badlands Inn is located just outside of the park boundaries. The cabins are quite popular, especially in the summer. Reservations are highly recommended. The Cedar Pass Cabins are within walking distance of the Ben Reifel Visitor Center and the park’s amphitheater. This is a great location to be able to attend a ranger night sky program. Cedar Pass Restaurant proudly serves local and sustainable sourced regional dishes. The dishes range from buffalo salad, Tatanka dogs, steaks, salmon, hearty beef and buffalo burgers, Sioux Indians Tacos, fresh soup and salad bar and a selection of South Dakota wines and beers. There are a gift shop and a convenience store located next to the Cedar Pass restaurant. 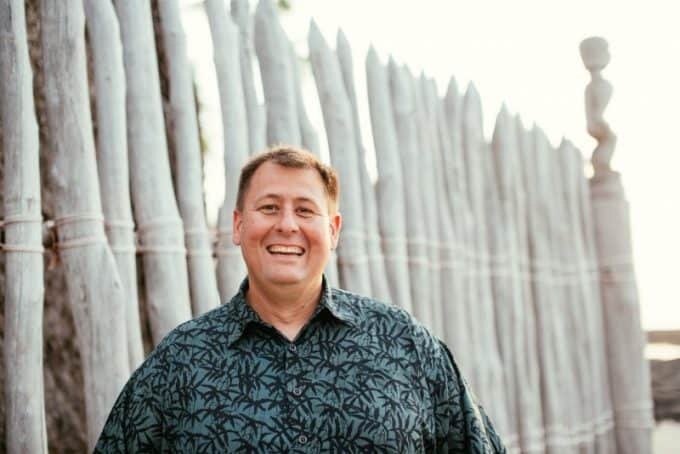 You can find sundries and camping supplies along with Native American pottery, art, and jewelry. They also carry great souvenirs from Badlands National Park. The restaurant and gift store is open to all park visitors. The parking lot is large enough to accommodate big RV’s.